Former adjoining restored house with direct access to the fields since the kitchen; Ground floor: American-style kitchen with dining area opened on stay, a bedroom; in the 1st floor onr bedroom. Charming gite in Baume Les Messieurs (one of the most beautiful villages in France) furnished and decorated in a chic country style. This village with a rich heritage (Imperial Abbey, Caves, Waterfalls, Cliffs, Belvedere ...) nestles in the most famous Recule du Jura, at the foot of the "Canyon Jura". Its location in the heart of the Jurassien vineyards (5mn from Chateau Chalon), near the lakes (30mn from the Lac Chalain) makes this lodge ideal for walks, hiking or mountain biking. Located in Les Rousses in the Natural Park of Haut Jura, this cottage, quiet and pleasant, completely renovated, can accommodate 8 people. 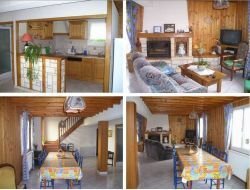 This cottage of 70m² on the floor of an old farm Jura is located at 1125m above sea level, ideal for summer, for hiking departures and winter, for skiing. Set in lush greenery, relax in our spa town in the Jura: rent a furnished apartment for 2 people, 900m from spa, free parking, the quiet and rest. Many care fitness weekend or week - saltwater pool. Holiday cottage for 5 people, in a village located at 1000m altitude in the natural park of Haut Jura in a green valley where you can discover a beautiful region, quiet and do a lot of activities, summer and winter. In summer, hiking and mountain biking; In winter cross-country skiing and alpine skiing, sledging, etc... View of Mont-Blanc from the mountains of Haut Jura, facing south. 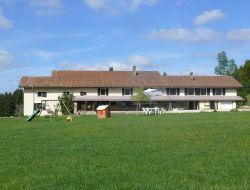 The gite is on the 1st floor of the chalet. 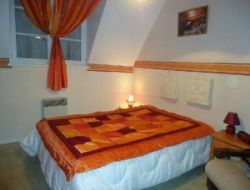 Rent of an apartment for 4/5 persons situated in Morbier, in the heart of height-Jura near the ski resorts. 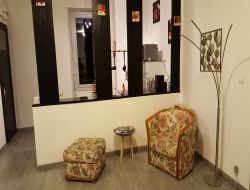 Bordering the Jura, in the Doubs, 30km from Besançon, 15 from Quingey and Salins les Bains, self catering cottage for 7 persons in 114m ². Terrace and private parking, quiet assured. 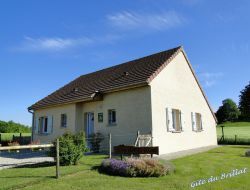 Rural cottage, ranked "3 épis Gites de France" in the heart of the Jura near the famous secluded Baume les Messieurs (3km), Lake Chalain, Cascades of Hedgehog. New, comfortable, cottage for 6 people with wood interior and 3 separate bedrooms. It is located at 6mn of the Baths of Lons le Saunier. 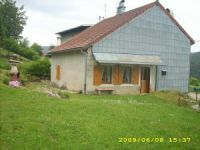 Renting a comfortable cottage, facing south with views of the Jura Mountains. Home is also suitable for 5 persons. Renting an apartment F2, less than 5 minutes from the center of Salins les Bains and 2/3 minutes from the thermal baths all on foot. Kitchen equipped open on living room (dining room and living room with click-clac), 1 bedroom. Linen provided without supplement and hygiene products available. Located on the 1st floor of a small town building with parking.